It's been a while since I published the last Free Design Box post category. I should thank you for your patience to follow Graphic Identity Blog updates and it's time to share you the freebie post series. I created a set of Subtle Seamless Geometric Pattern for you to download for free in .PNG file format. I reduced the contrast for each of it and scaled into 3 sizes. There are 5 different geometric style with 10 color alternatives, so basically you can have 150 total number of patterns to choose for your design. I wrote a quick tutorial of: How to Define Pattern as .PAT File in Photoshop if you still do not know how to put digital modern pattern into a design. You can check the demo page for quick preview of each geometric pattern style in different sizes. Don't miss out to download my next Subtle Seamless Pattern set post series by subscribing to Graphic Identity Blog feed! I also have created transparent pattern set in .PNG and .PAT file format. With transparent .PAT file, you will have more options to customize the background color of the pattern and scale it to fit your design (into smaller pattern unit dimension). If you're interested to have it, you can tweet this post and mention @GrapicIdentity then leave comment using comment form below. Be sure to follow @GraphicIdentity and don't forget to include your Twitter ID or your tweet permalink in your comment. I will send a download link via DM (Direct Message). If you are happy enough with the available pattern colors, you can just download the .PAT file format with colored background instead. Google+ has new 'red' icon recently. Good thing that a design studio lab & blog called: Bold Perspective, has launched the updated version of their Google Plus Icon Vector freebie set for you. .
You can find various sizes of Google+ icons within the set, which are 128px optimized version and the standard 16px, 32px, and 64px in .PNG format and there's .AI vector format for each variation, if you need to modify your own Google+ version. Beside the popularity and trend of Owl logo designs, I just want to show you, that Penguin can also be nicely visualized as a logo design. Not so clear why some companies choose Penguin as their mascot identity. One of the reason is maybe because of the penguin's ability to adapt in some extreme environments. 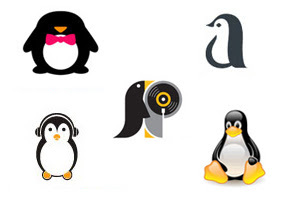 Here are some handpicked of 20 Penguin Logo Designs for your inspiration, which were taken from various logo galleries and logo marketplaces. Selfa is a fairly new font designed by Housseynou Fall. If you pay attention to the finial of certain small character, such as: a, c, f, g, r and s, there's swooshy finish up. The i and j, each of them has a very unique dot. The Standard Ligatures also available for: fl, ff and fi. This font is inspired by two famous classic serif typefaces: Georgia & Garamond. Since the first release in around July 2011, Selfa has been refined and updated to Selfa ver. 2. The whole look for this font, both for small character glyphs and caps is classical and elegant, but in the 'new' kind of way. 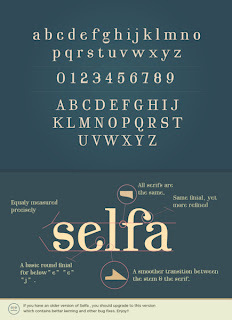 Visit Mazefall.com, to download this beautiful Selfa font. The zipped folder includes both Opentype and Truetype File which should work on either PC or MAC. 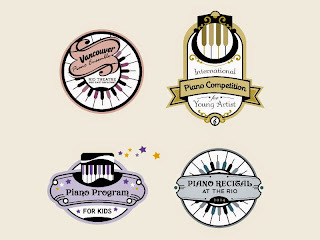 Check Housseynou's wonderful designs applying Selfa on Dribbble and Forrst. 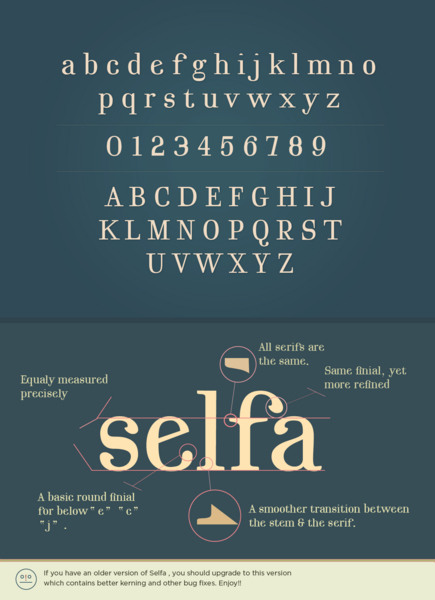 Selfa is free for personal and commercial work (but please read the designer's license first). You can use it for professional websites, to embed it via @font-face and also for logo design project like what I just did ;). YES! Just yesterday I published a new logo that is part of my GraphicRiver portfolio, called: Lotusiana. Lotusiana logo is an abstraction of lotus or flower, with geometric shapes. I couldn't think of any other font but Selfa :) ~ I made a few small edits on the 'tu' and put 'orange' color for the 'i' dot. Make a bid offer for Lotusiana logo if you're interested to purchase it for your new business. Previously we have published a round up post about Lomo Cross Processing with 20 collection of photoshop actions. Now we're back again with another selections of Photoshop Actions to help you creating beautiful photos that look like they are made with Instagram filters or effects. When you design promotional product banner, or poster, you may need some design elements that will attract prospect consumers to buy or take a closer look on the product details. One of them could be a shopping tag!